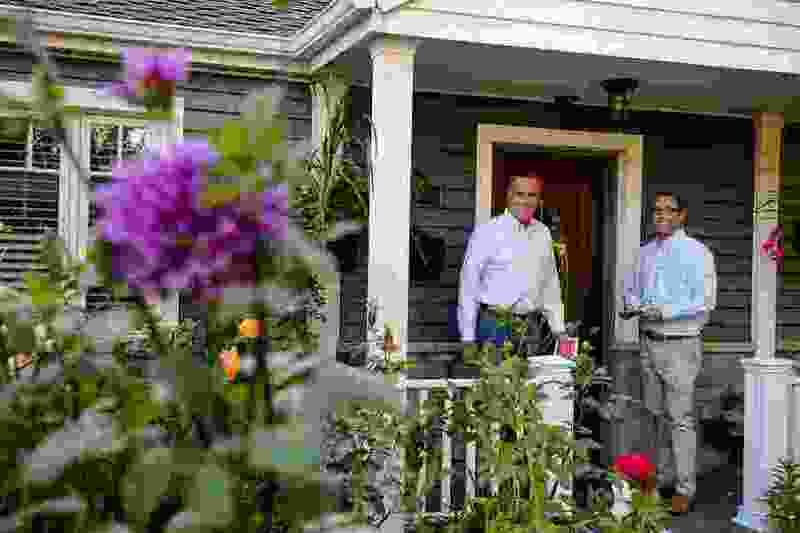 (Trent Nelson | The Salt Lake Tribune) Candidate Mitt Romney canvasses in Murray with Republican House candidate Robert Edgel, Thursday Sept. 20, 2018. Are these the words of a “realistic,” “bipartisan” candidate with “gravitas”? “There are 47 percent of the people who will vote for the president [Barack Obama] no matter what. All right, there are 47 percent who are with him, who are dependent upon government, who believe that they are victims, who believe the government has a responsibility to care for them, who believe that they are entitled to health care, to food, to housing, to you-name-it. That that’s an entitlement. And the government should give it to them. And they will vote for this president no matter what. Did Jenny Wilson ever insult working Americans, or the intelligence of her own audience, in any such way? Apparently not. But you all have done exactly that, by endorsing Mitt Romney for the U.S. Senate.